NYC, 03/07/2019, 4:00PM. Roma and Contemporary Mexican Cinema. 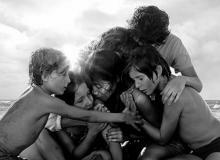 This roundtable will discuss Roma, Alfonso Cuarón's film, which is nominated for 10 Oscars. -- Carlos A. Gutiérrez is a film/video programmer, cultural promoter and arts consultant based in New York City. -- Jerry Carlson is Director of the Cinema Studies Program in the Department of Media & Communication Arts at The City College.